Gary Charles Metz has been a writer for most of his life. Born and raised in LaGrange Park, a suburb of Chicago, Illinois, his musical journey began when he was "anointed" to take organ lessons at the age of seven. After four years of lessons, often straying from the limitations of written sheet music and playing mostly by ear, Gary lost interest, opting instead to concentrate on academics and athletics.
" 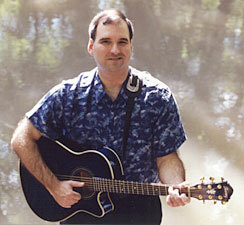 I always enjoyed writing themes and compositions in grade school and high school," Gary recalls. "I don't know why I took such pride in taking hours to write a four-page theme, when most of my classmates dreaded writing assignments. I would just lock myself in my bedroom and get writing." It was during his high school and college years that Gary began to listen to FM radio, attend rock concerts, and purchase record albums on a regular basis. "One of my eighth-grade graduation gifts was a digital AM-FM clock radio. I spent hours listening to pop and album rock stations. Some of my favorite groups included REO Speedwagon, Led Zeppelin, Kansas, Lynyrd Skynyrd, Patti Smith Group, Fleetwood Mac, Heart, UFO, and the Eagles. I must have attended thirty or forty concerts during the late-'70s. At that point, I played the organ maybe ten times a year--mostly at the prodding of my parents and relatives during holiday gatherings at the house. I also tried playing some of my favorites by ear, songs like 'Keep Pushin,' 'Rhiannon,' and 'Free Bird.' Nothing original, though." After graduating with a B.S. in Accounting from the University of Illinois at Chicago, Gary "mysteriously" rediscovered the organ. "I can't explain how or why it happened, but in late October 1982, whenever I went to bed, I would hear melodies in my head. Nothing I'd ever heard before. So I would head downstairs to the living room organ and get the tunes down on paper. This went on for about three months, and before I knew it, I had the makings of about twenty songs written." "Lyrics were most challenging. I found it very difficult to come up with song ideas out of the blue. The melodies and musical structure were fine, but they didn't sound like the rock music I listened to. Very few of my songs were what I would consider 'finished' back then. I was writing for the rock genre I had listened to for so long. I was incredulous when my dad told me he thought my songs sounded like country music. I dismissed even the thought that he may have been correct." Not long after, however, Gary agreed with his father. "My car was in the shop for about a week, and my parents let me drive their car to work. Only the AM radio worked, so I gave the country station a try. I couldn't believe what I heard. I was expecting to hear hillbilly stuff, like the people from the 'Hills of Beverly.'" "But it didn't sound like that at all. I loved what I heard. Alabama, Janie Fricke, Ronnie Milsap, Rosanne Cash, George Strait, Tanya Tucker. Songs with vocals and lyrics I could actually hear and understand. When I played my own music on the organ at home, I realized that Dad was right. While I haven't totally abandoned my affinity for rock and roll, I've been listening to country radio ever since."